Jako Vino, a recently-renovated winery in the circa 1903 Dalmatinska Vinska Zadruga (Dalmatian Wine Association) building in the town of Bol on Brač island, Croatia, has launched a brand new wine called “Stina”. Stina is a quality red wine made from the locally indigenous Plavac Mali grape. “Stina” is a local word that means stone – or, more precisely, the high quality white limestone blocks that are quarried on Brač and exported around the world to be turned into great works of sculpture and architecture (“stina” from Brač was reportedly used in the building of the White House in Washington DC and as construction blocks and as sidewalk pavers in various cities, including New York City). Designed and published by Zagreb advertising firm Bruketa & Žinić and brand consultants Brandoctor, the Stina label is magnificent. Strikingly sleek and eye-catching, it is a marvel of design: at once stark yet beautiful; simple yet powerful; rustic yet elegant…skillfully merging the accidental with the deliberate, the rudimentary with the artistic and wine snobbery with mainstream chic appeal. 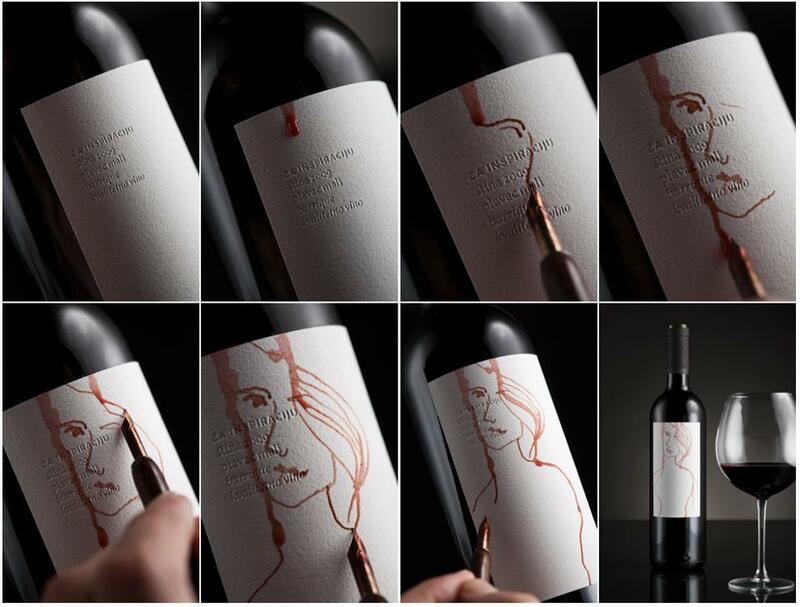 As you can see by the photos and video below, the label’s textured white paper background serves as a canvass for free-form, breezy drawings that take their shape and inspiration from what would otherwise be unfortunate and unsophisticated drips of wine down the sides of the bottle. Which leads me to wonder: In the history of wine drinking, how many prized labels in the hands of would-be connoisseurs and collectors have been ruined by renegade trickles of wine, staining noble depictions of Coats of Arms and names of Great Chateaus with clumsy crimson tears?…. But that doesn’t happen here. Here a wayward drip becomes a serendipitous moment…the muse that manifests as a high-effective and über contemporary brand of folk art: wine label sketching in the blood of Brač stone. The Jako Vino Facebook page says it best (interpreted by me from the Croatian): Stina, which means stone, is the symbol of Brač island. 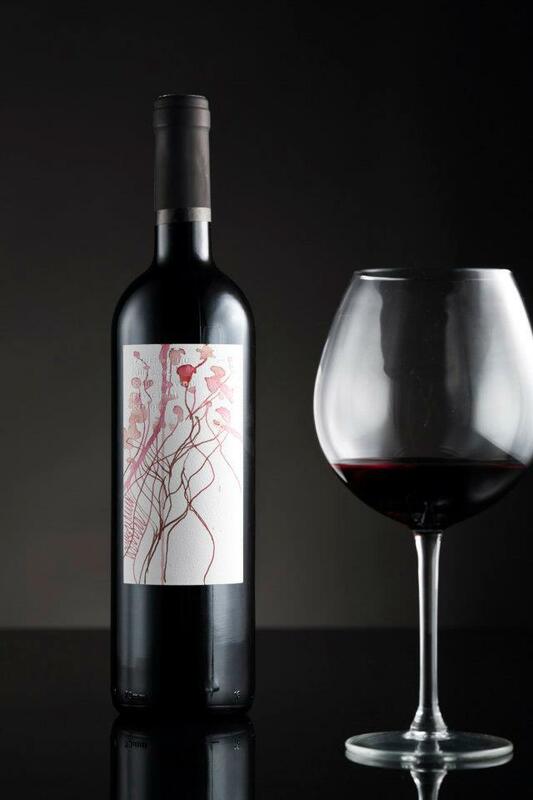 The Stina wine label symbolizes a piece of virgin stone that summons sculptors to shape it; a white canvas that invites artists to paint it; a sheet of blank paper that incites bards to scratch poetic verse on it, or writers and musicians to lay down the words and notes to the most beautiful stories or musical compositions on it. My nomination means nothing, of course, except to further fuel my own curiosity and thirst (and maybe yours too?). In other words, I can’t wait to taste what’s in that bottle! 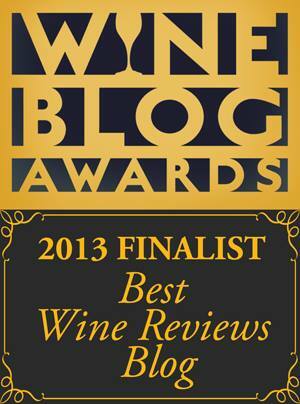 If anyone has tried this wine, please let us know your thoughts in the comment section. You can watch the video showing the label’s creation below. Cheers! We managed to get an early bottle of Stina and I can report that it is indeed first-class. The label on our wine was the plain white version and left us a little bemused (and were indeed ruined by the first drip) but the contents were a great example of Plavac Mali, sleek, elegant and long-finishing. Fabulous wine. Is there any wine stores currently delivering to the USA? Dear James, there are a couple of U.S. retailers who can ship Croatian wines to addresses in the U.S. One is Blue Danube Wine Company (www.bluedanubewine.com) and the another is Madison Wine Cellar (www.madisonwinecellar.com). Please check with them about availability and ability to ship to your location.